Your surfaces deserve the best! Faber, with SHOWROOM line, brings to you the quality tested and recommended by the best professionals in the field, producers of tiles and ceramics. An ordinary cleaning may not be enough to restore the original look of the floors: stains, haloes, and foot-prints persist. The solution is to remove the superficial patina. In this video, you will see the correct application of our solution, and in the end a tip to maintain clean every day! TILE CLEANER is a slightly acidic, water-based cleaner for deep cleaning of different surfaces. The special formula allows the product to penetrate inside the pores and texture deep down. 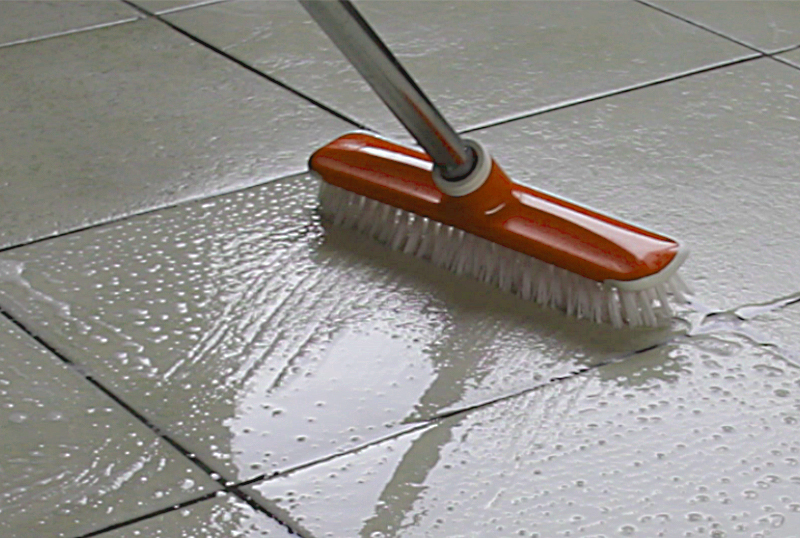 In this way, TILE CLEANER is able to dissolve and remove the dirt that has built upon the material, even in cases of old, stubborn residues to restore the original appearance of the material. When used undiluted, TILE CLEANER serves to remove surface patinas from incorrect routine maintenance carried out using unsuitable cleaners and it is also active on patinas caused by grout and seals, whether cement or epoxy based. TILE CLEANER is recommended for use on all materials that are not acid sensitive. TILE CLEANER Faber is a detergent for extraordinary cleaning and to avoid the formation of new patinas use FLOOR CLEANER Faber, the perfect solution for the daily cleaning of porcelain ceramic tiles that does not require rinsing, is effective against dirt with no residue.